I'm Beki. And yes, my last name really is Cook. I didn't plan it that way, but it's worked out pretty well for me. 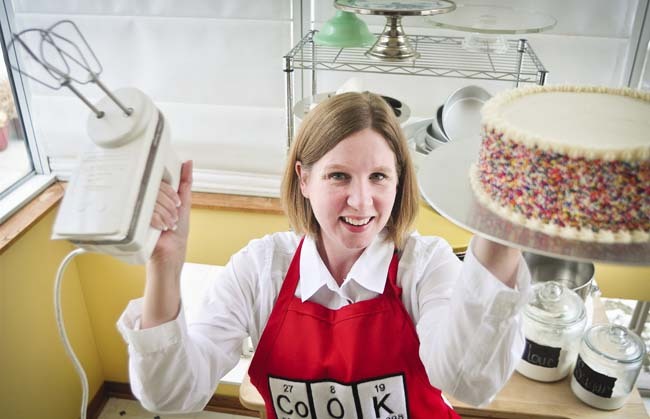 I then started teaching Wilton cake decorating classes in the Minneapolis-St. Paul area about 5 years later after my boys came along. I wanted to stay home with them, but needed a job and a creative outlet that didn't involve Raffi, Melissa & Doug or anything else for the under 5 set. Then, I found out that I love teaching cake decorating... way more than I like making cakes for other people. 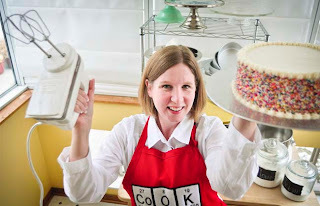 I started this blog in 2011 after I started teaching some community education cake decorating classes and private cake decorating parties and workshops. Now that I create my own projects and classes, I can share with you my recipes, tips, tricks and ideas. I always love to hear from readers. Please leave a comment on any post if you love it, hate it, think I missed the boat, whatever! Thank You for checking out this website!